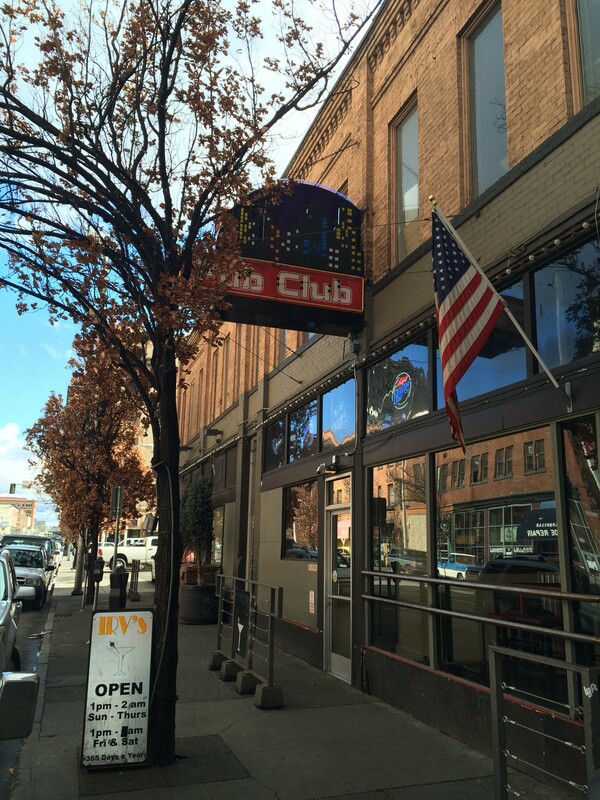 The outside of the newly named downtown club doesn't yet say Stray. We’re happy to report the bartenders at the new Stray nightclub all wear underwear while on the job — underwear only that is. Yes, the brand new nightclub, which just got its liquor license last Friday, is bringing a fresh approach to the former Irv’s space on Sprague, as female and male bartenders alike sling patrons’ drinks while wearing either boxer trunks or corsets, bras and booty shorts. All of the former Irv’s staffers were told they could stay on but that they must comply with the new dress code. Only one quit, Holland says. Already the owner of Bar Myx Everett on the west side of the state, Holland says he’s been looking for a way to bring his style of club over to Spokane. He put a bid on Irv’s in January and it took about a month for former owner Steffan Irvin Wachholtz to finalize the sale. The underwear concept came out of one underwear-only event at the club in Everett, Holland says. Patrons and bartenders enjoyed the excess skin so much, the approach evolved into a daily thing. The new owners are still completely committed to continuing the venue as a gay/alternative lifestyle bar. “We’re never going to be a sports bar,” Holland says. But changes are still imminent, with new floors and paint, an enhanced liquor selection — including a signature whiskey from Knob Creek made specifically for Holland’s clubs — and themed party nights every weekend. Also, expect more dancing floor space, with two DJs spinning simultaneously in separate rooms. The drag shows, however, aren’t going anywhere and Jason Johnson, aka Nova Kaine, is still the head of entertainment at the club. Shows will continue on Wednesday and Saturdays along with other events mixed in. While Nova Kaine’s ladies, Le Gurlz, perform throughout the region, Irv’s was always their home bar. Now that’s moved to Stray. Johnson says that Irv’s was experiencing a drop off in clientele before the space changed hands. “Irv’s had a history of bad decisions,” Johnson says. "But I feel we're in good hands now." The new bar also will not stay open until 4 am, as Irv’s often did, instead closing at 2 am. So, will Johnson also be running around in underwear only while at work? “Trust me, they pay me to keep my clothes on,” says Johnson. "At this point it's just the bartenders." Take a look at upcoming club events here, including St. Patrick's Day.